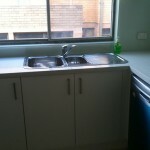 Some of our Custom Kitchens Sydney projects that we have completed for clients are shown below. Simply click on the project to view all of the images associated with that job. Once again, if there is a particular image that you like and you want more information regarding the design, then please give us a call. Any new kitchen or kitchen renovation has two very important details. One the cost and two the appearance. Finding what you really want that will fit into your budget whether its contemporary or modern design you will have to choose between a stock (pre-manufactured) cabinet or a beautiful custom kitchen Sydney for your home. A stock cabinet is not always something kept in ‘stock’ by the retailer and usually has to be pre-ordered in from the manufacturer. 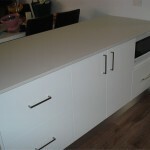 They are made to fit several standard measurements and if you have a kitchen space that requires a different size then they need to be modified to suit on site by a tradesperson and usually cannot be ‘special’ ordered. On the other hand, custom cabinetry is built to your needs and specifications. You choose the type of materials, stain and finish so you can be assured your kitchen will have the look and feel you are seeking. Each of your cabinets are individually made so if you have an unusual design or odd nook in your kitchen or pantry, your specifications will be incorporated into the design. 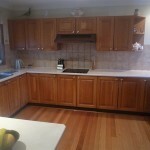 Your custom kitchens in Sydney will be built to fit your kitchen space perfectly and made of materials of high quality. You won’t just see the difference on the surface of your cabinet doors, but the quality of work is carried through to the joints, seams and hardware of your cabinets. Customization includes everything even the unusual such as pull-out pantry doors, over sized pot drawers, and floor to ceiling cupboards. When designing your kitchen remember that it is one of the main considerations when valuing your property as well as an asset to your daily living. With proper design you can also make your home more efficient. When deciding on what style kitchen you want your choices are nearly limitless. You can have light or dark cabinetry, recessed lighting, maybe a breakfast island. Countertops come in Aborite, stone, marble and several hard wearing composite materials. When deciding on the style of design it may be helpful to ask; What is the function of your kitchen? Is it a chef’s haven or a family meeting place? With proper ergonomic workspaces and appropriately spaced storage units you can be selfish with your design needs. With Sydney custom kitchens, there is no need for wasted space in the bulkhead of your cabinets, by running your cabinet right to the ceiling you have a dust-free hiding space for your ‘special’ serving ware. Door sizes and shelving lengths are made to your design specifications so you can have large running upper cabinets without having to piece together smaller, individual units. For your new kitchen, you cannot beat custom design for look, feel, and function.